Constrained by shrinking budgets, can colleges do more to improve the quality of education? And can students get more out of college without paying higher tuition? 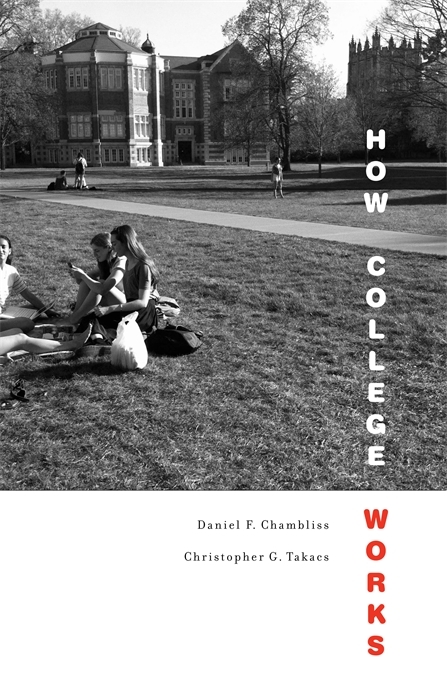 Daniel Chambliss and Christopher Takacs conclude that the limited resources of colleges and students need not diminish the undergraduate experience. 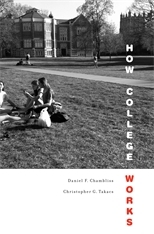 How College Works reveals the surprisingly decisive role that personal relationships play in determining a student’s collegiate success, and puts forward a set of small, inexpensive interventions that yield substantial improvements in educational outcomes. For most students, college works best when it provides the daily motivation to learn, not just access to information. Improving higher education means focusing on the quality of a student’s relationships with mentors and classmates, for when students form the right bonds, they make the most of their education.